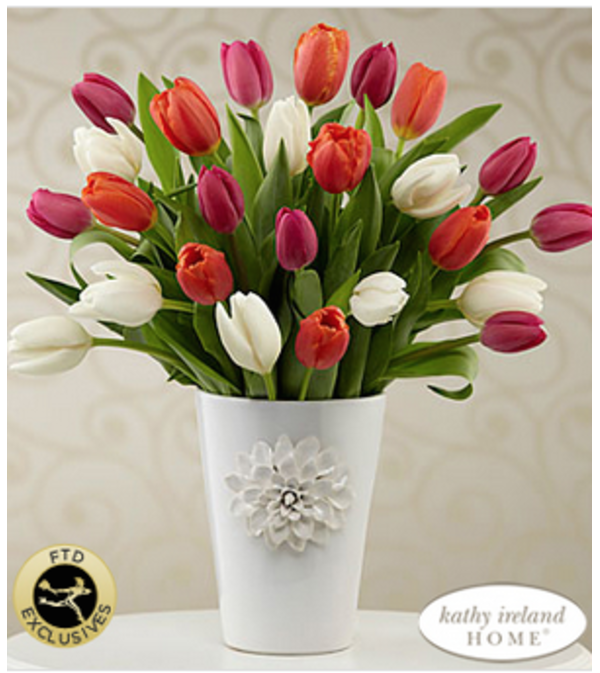 The FTD® Pacific Trends Bouquet for Kathy Ireland Home brings the famed designer's exuberant joie de vivre to any occasion from Mother's Day to birthdays, and beautifully hits the spot when it comes to making any day special. 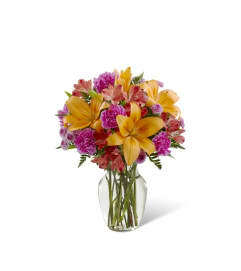 Simple, yet sizzling with on-trend, springtime sophistication, it almost glows with a painterly mix of tulips in tranquil white, spicy orange and sweet hot pink accented with lush greens. 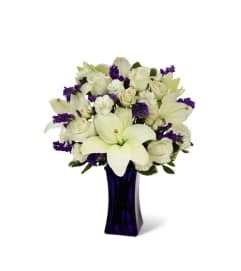 Beautifully arranged in a white ceramic vase blooming with a hand-sculpted blossom, it gorgeously evokes an ocean sunset to color any day, "sensational"!